I'm just off for a chat with Pat down at Radio Nova later this afternoon. I'll be bringing along two Vee-Twins. 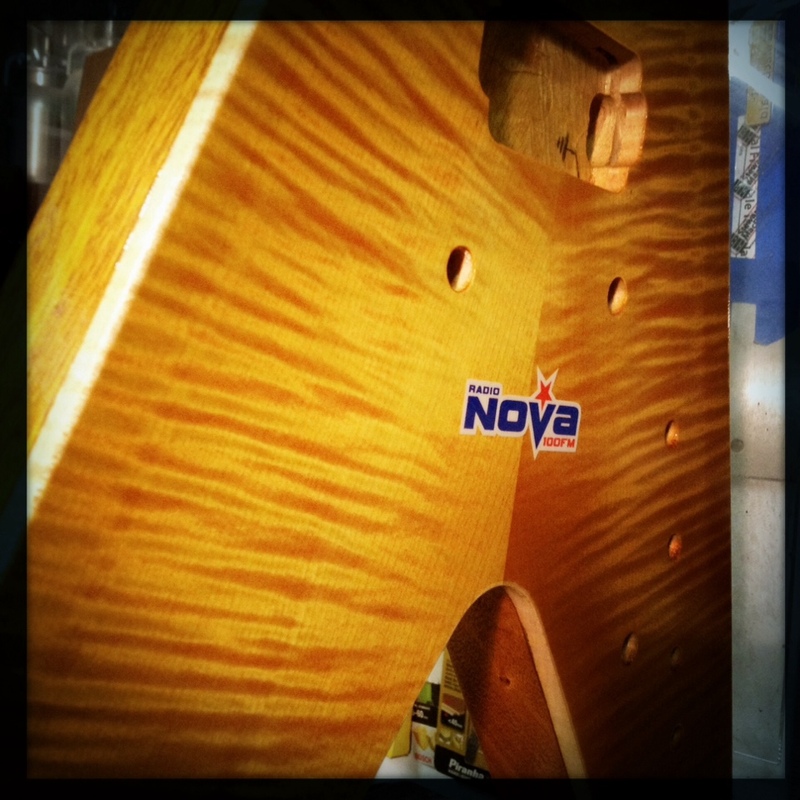 One will be presented to it's new owner, Hogy Fuellgrabe—the lucky winner of the Nova Rocktober competition. The other now belongs to Nova themselves—and let's face it, how could they not get themselves a V-type guitar that's made for rock? Things should be kicking-off (or lifting-off) just after 6pm so tune in if you've got a radio (100FM) or some sort of computing device handy to listen online. Will get some more soon but here are a few photos of the first of the Haze Vee-Twins to be strung up. Don't forget, you could win one if you listen in to Radio Nova over the next week. So, by now, you should have had a look at the build photos from the Vee-Twin. I'm working with Radio Nova again this year and they'll be giving away one of these beauties during the last week of October (or Rocktober, if you prefer). The keen-eyed will have spotted that there are two Vee-Twins on the go in these photos. Well, similar to Victor Kiam who liked a razor so much, he bought the company, Nova are getting a handsome Vee-Twin all to themselves. 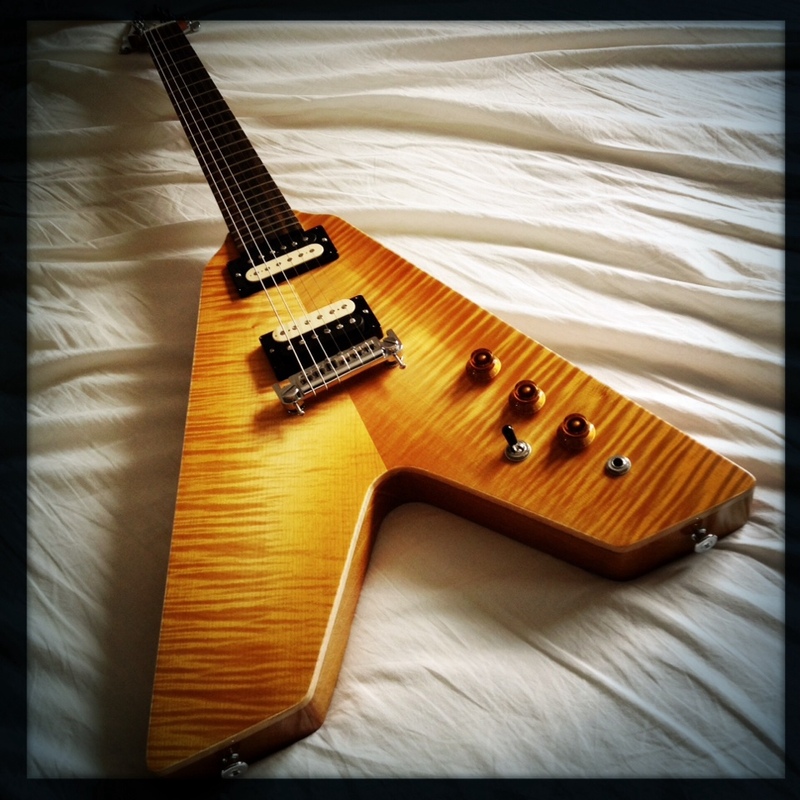 Nova get one but the other guitar could be all yours if you tune in at 100FM over the next few weeks—check it out. In the meantime, have a listen to this. Personally, I have it on repeat all through the day. 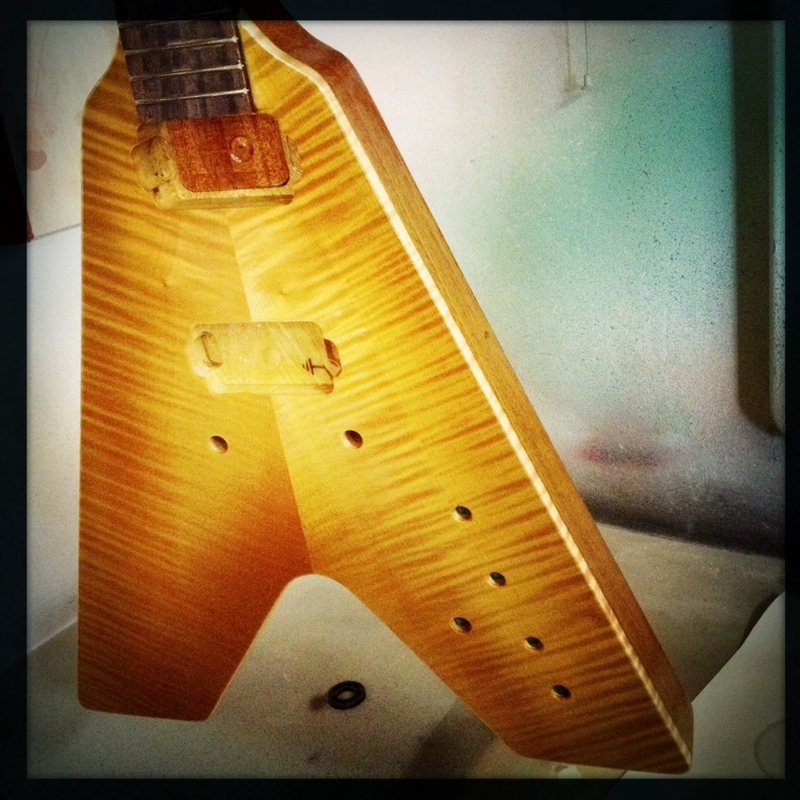 A little bit of a photo-journal through the birth and early life of a new Haze Vee-Twin custom guitar. Stay tuned for some interesting extra information on the Vee-Twin soon. A hand-drawn, illustrated guide to setting up your own Strat. 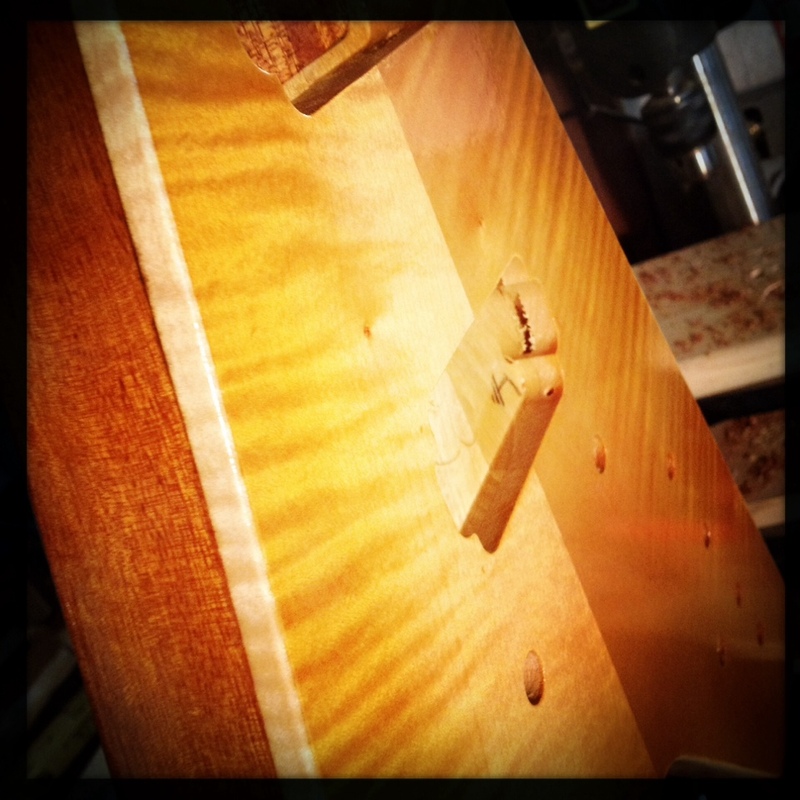 "I'll do anything else with my guitar but I won't touch the truss rod."? It's not that scary. Download Truss Rods Made Easy for free. I consent to having this data stored and used to personalise newsletter emails. Thanks a lot. Check your inbox for an email for me—you'll need to confirm your subscription there. It might take a few minutes to come through so, don't worry if it's not there immediately.